Anthony Lister in London. Photo by RJ Rushmore. Australia is home to some of the best street artists in the world, but few are known outside of their home country compared to artists from New York or London. The reason for isn’t entirely clear, but a possible explanation is lack of travel. While it’s possible to live in Nevada and be a well-known street artist, it helps to have visited at least one of the coasts of the USA. Although Melbourne is a big city with its own street art scene, a similar rule applies. Many of the internationally famous Australian street artists and graffiti writers (Anthony Lister, Dabs and Myla, Ian Strange aka Kid Zoom…) have spent time living in the USA. Strange and Dabs acknowledge that moving to the USA helped their careers. Both Strange and Lister moved to New York and then spent time traveling between the USA and Australia. They weren’t forgotten while in Australia, however. 20 years ago, that might have been the case, but now, these artists used social media and blogs to keep their names on people’s minds. The fans just need that initial introduction with a few pieces painted near them. Phibs in Newtown, Australia. Photo by JAM Project. 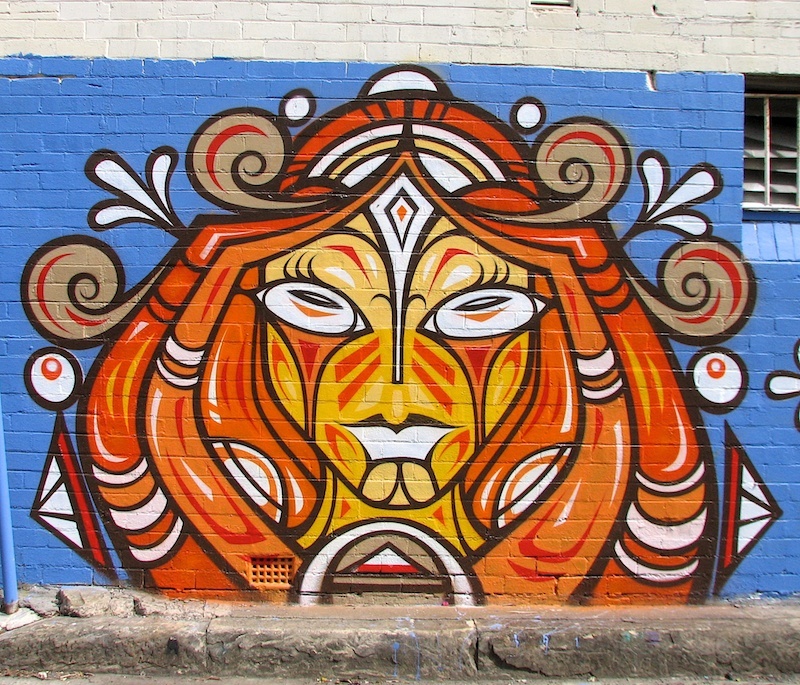 Phibs, another Australian street artist, is a member of the well-respected Everfresh Studio group of artists and has works in the National Gallery of Australia, but he is not as well-known as Strange or Lister. 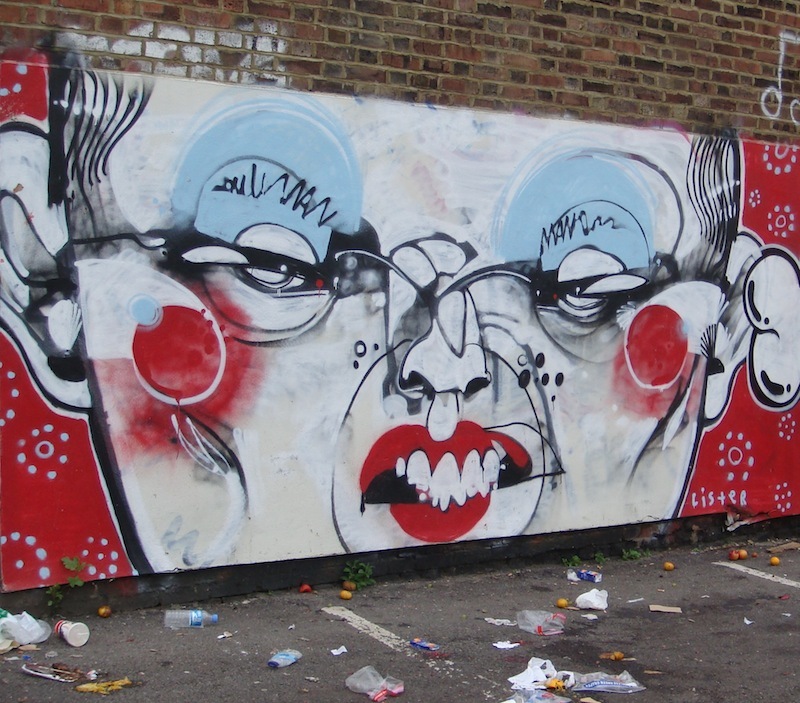 He also isn’t as well-traveled as either of them, or as well-traveled as the more internationally recognized members of Everfresh Studio like Meggs, Rone, or James Reka. A trip to New York City or participation in a few European street art festivals might boost Phibs’ global recognition for years. Kaff-eine. Photo by the euskadi 11. It’s a bit of a chicken or egg problem, with travel on one side and fame on the other, but it’s likely easier to get the fame necessary to facilitate further travel if an artist takes the risk on that first trip and tries to paint the town red in a major street art city. 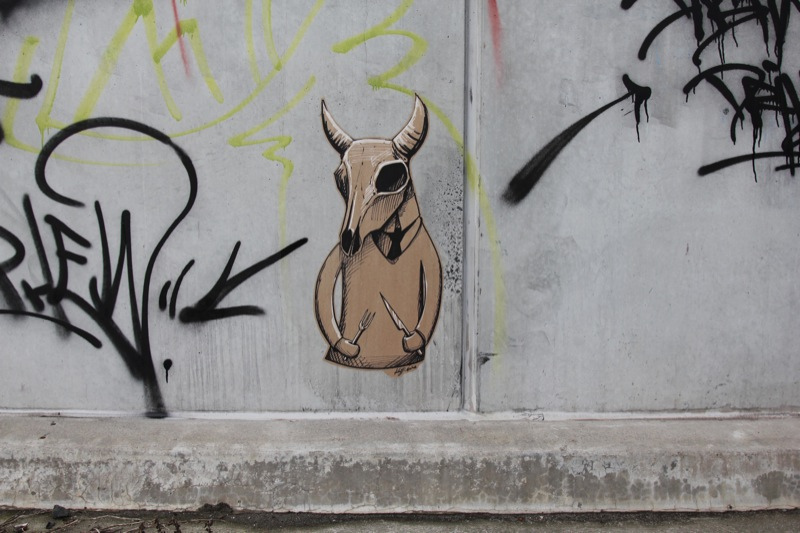 That’s what Roa did in London, although he had The Brick Lane Gallery to help out. After Roa made his mark in London once, the city never forgot him and new fans there began to follow his work wherever it appeared. Without painting at least once in a major street art city, it’s difficult for an artist to break into street art on an international scale. That first trip solidifies an artist’s name in people’s minds. Future travels and international recognition can follow, with blog coverage and an artist’s social media activity sustaining and growing their popularity from wherever they are working.